He's with the JSA (Justice Society of America). That's really his name. Mr. Amazing. I remember the original. I just don't know much about the "new" one, but ... this is your ... warning! mmmm yummy a strong black man with super powers! yay! save me! Anyway, I remember him being in the All Star Squadron (a book I miss) and being very excited. I'm glad to see he's resurfaced. According to Wikipedia, the current Amazing Man, Markus Clay is "the other grandson" of Will Everett, the original Amazing Man. 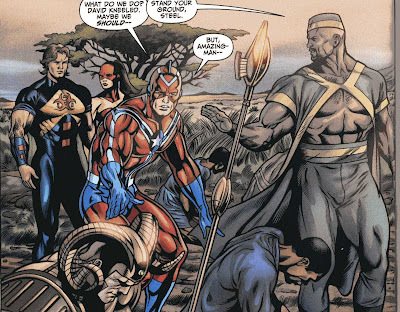 Will Everett, II joined the JLA at the request of Wonder Woman. He apparently got killed. 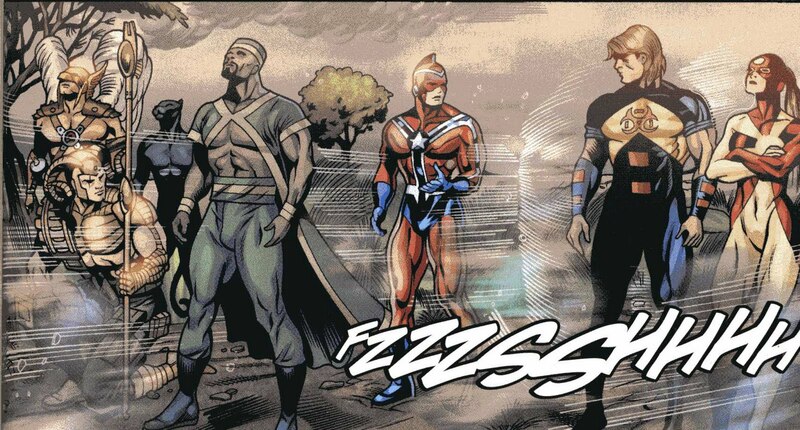 That was a pretty good story in the JSA with Gog/Kingdom Come, Power Girl/Earth 2. 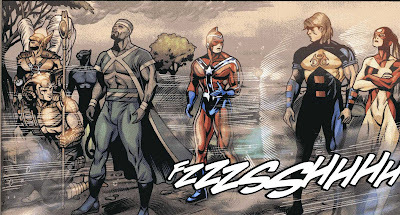 I was shocked to see that the JSA had three black men all in one group (including Mr. Terrific and Jakeem Thunder). Then, there was Black Lightning's "other daughter," too. They get props for being diverse.